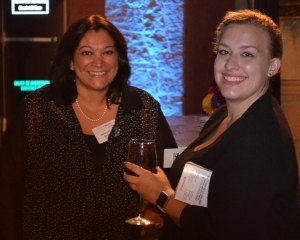 The Welcome Reception sponsored by Mexichem provided delegates with a delightful taste of not only some of the finest food and wine from the region, but an exquisite dance performance from ladies of the village of Santa Maria del Rio, near Mexichem’s fluorspar mine. 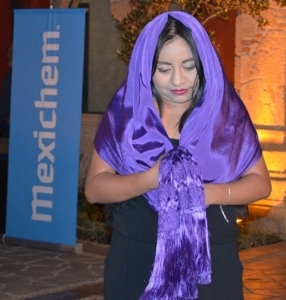 The special dance evoked the unique artisanal manufacturing tradition of Santa Maria del Rio – that of making the finest examples of the famous all-purpose Mexican shawl, the Rebozo. Not surprisingly, and much to the attendees’ delight, the troupe conducted a brisk trade of their wares during the conference coffee breaks. 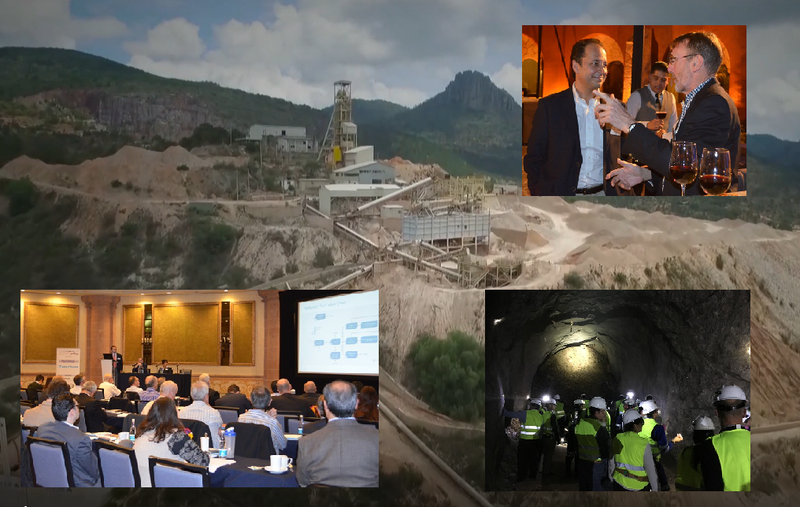 Gustavo Puente, Secretary of Economic Development, State of San Luis Potosí formally opened proceedings with a Welcome Address relating the recent growth of SLP and its important role in the country’s mining and minerals industry, not least in hosting the world’s leading fluorspar producer. Keynotes 1: Mexichem view | US DUF6 restart? 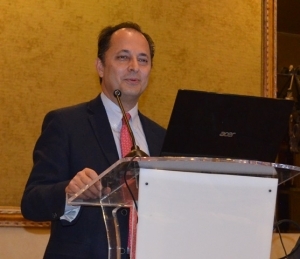 Andrés Múgica, President, Fluor Business Group, Mexichem presented “Mexichem: Leading the fluorspar industry today and tomorrow” extolling the group’s view of trends in the market. 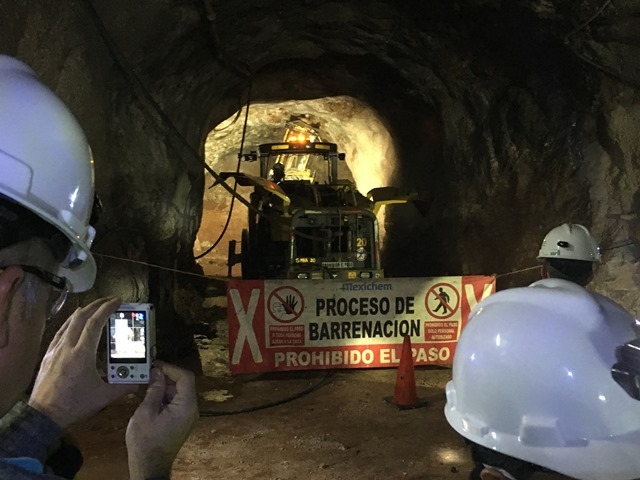 Múgica reassured that fluorspar would remain a strategic mineral for several industries around the world, while noting that metspar was becoming a “scarce material” and acidspar was “here to stay”. He underlined that innovation and sustainability are key to the industry’s future. 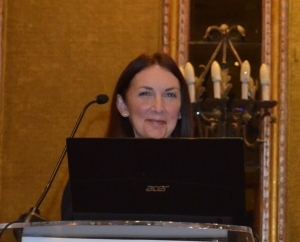 In her presentation “Global fluorine production and supply trends”, Michele McRae, Fluorspar & Barite Specialist, US Geological Survey reviewed world supply trends from 2012 to present, and spotlighted developments in the US supply and consumption sectors. World fluorspar production has fallen approximately 25% in the past five years, with decreased production in most major exporting countries: China, Mexico and Mongolia accounting for a drop in approximately 250,000 tpa acidspar and 150,000 tpa metspar. from Bulgaria, Kenya, Namibia, and Russia. Of interest was McRae’s update on an alternative supply of hydrofluoric acid (HF) from the US Dept of Energy: as a by-product of the conversion of depleted uranium hexafluoride (DUF6) to more stable forms. Conversion of the entire US stockpile of DUF6 is projected to take about 30 years and the original projection was for production of 19,300 tpa of 55% HF solution. Production at two plants was halted in early 2015 following the failure of two HF condensers, the programme had produced 33.5m litres of aqueous HF. Operations were slated to be restarted at both facilities in 2017, and the production target for the period FY2017-2022 is more than double that already produced. 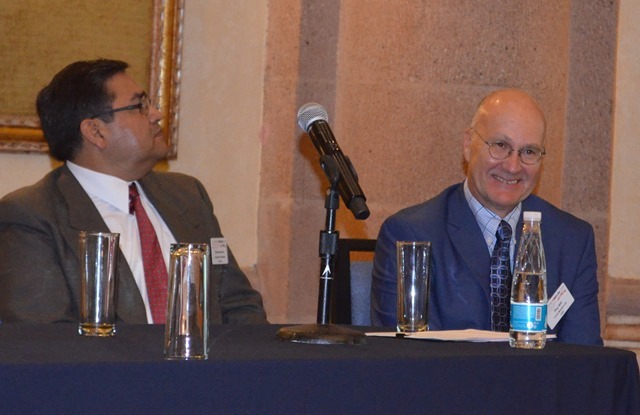 Moderated by Mike O’Driscoll, an illustrious panel tackled the primary issues of fluorine supply, the influence of China, and outlook for the fluorochemicals market. Chief among the market’s concerns for the future were fluorspar ore quality, China’s impact on supply, and the potential game changing evolution of fluorine alternatives used in fluorochemical applications. Panellists were Malcolm Crawford, Fluorspar specialist, Delta Minerals Ltd, UK, Kerry Satterthwaite Manager, Industrial Minerals, & Carbon & Chemicals, Roskill Information Services Ltd, UK, Johannes Scheruhn, General Manager, Scheruhn Industrie Mineralien GmbH, Germany, and Ray Will, Director Chemical Consulting, Specialty and Inorganic Chemicals, IHS Markit Ltd, USA. 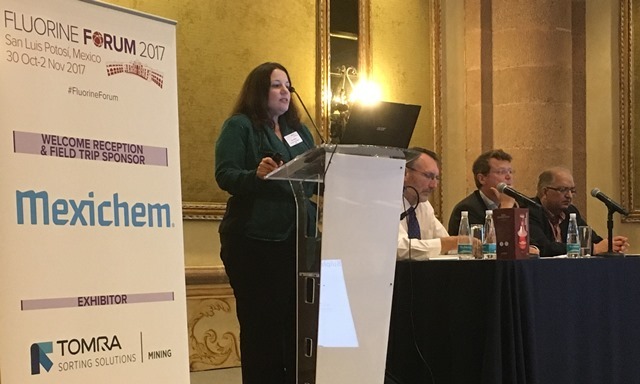 “The evolving influence of China on the world fluorspar market” by Kerry Satterthwaite, Division Manager, Industrial Minerals & Carbon & Chemicals, Roskill Information Services Ltd, looked at the state of play for fluorspar in 2017, the global trade picture for fluorspar, Alf3, and HF, China’s role in trade and its outlook, and implications for the industry. 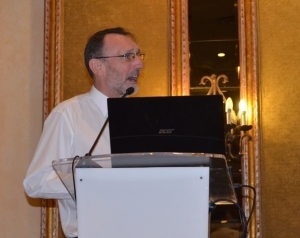 “The next decade will be key for the fluorspar sector” said Satterthwaite. Primary factors impacting the future market will include the global phase down deals for CFCs, HCFCs, and HFCs; the potential uptake of fluorine-based alternative fluids (HFOs and HFO/HFC blends) demanding acidspar; the latter may stimulate fluorspar suppliers outside China; China as world’s largest fluorspar consumer and its rising output of value added fluorine products; and China’s increasingly significant import volumes. 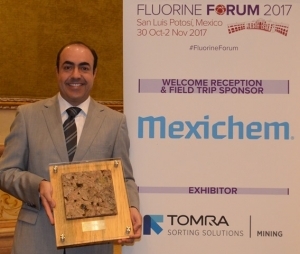 With Mexico being such a leading player in fluorspar supply it was right that some mention was made about the country’s resources and production history. This was ably covered in “Mexico’s fluorspar resources and production” by Armando Alatorre, Industrial Minerals Consultant. 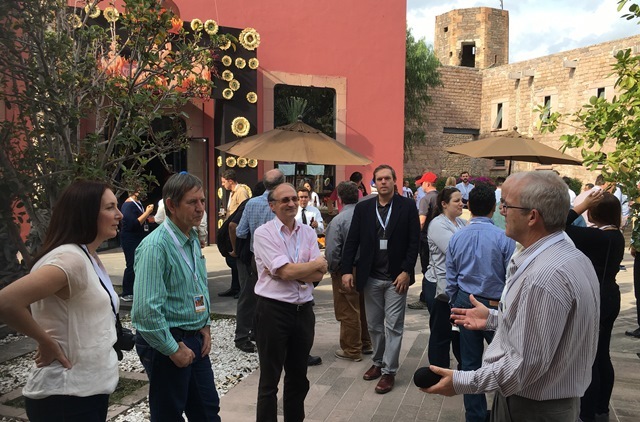 Alatorre outlined Mexican fluorspar production in the context of the country’s industrial minerals industry, reviewing its production and the now much reduced group of producers. Between 1980 and 1990, some 50% of Mexican fluorspar production capacity, represented by eight mining operations, was lost. 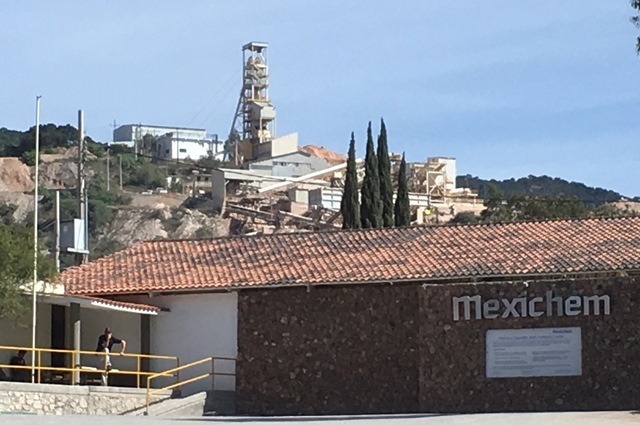 At present there are four operations, of which two are part of the Mexichem group, together accounting for almost 90% of fluorspar output in 2017. South Africa: supplier of the future? One of the chief areas of fluorspar development in recent years has been South Africa , and Fluorine Forum 2017 was delighted to showcase three of the main proponents. 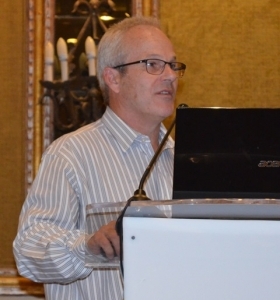 “Doornhoek: One of the world’s largest fluorspar deposits” by Allan Saad, CaF2 SA Fluorite Pty Ltd explained how historically complex private mineral rights and fund raising for further evaluation had contributed to the project’s delayed progress. With an estimated total resource of 516.5m tonnes at 13.82% CaF2, hosting 71.38m tonnes of contained CaF2, Saad described the Doornhoek material as a clean product, no impurities, with test work confirming 82-85% recovery of 97% acid grade. 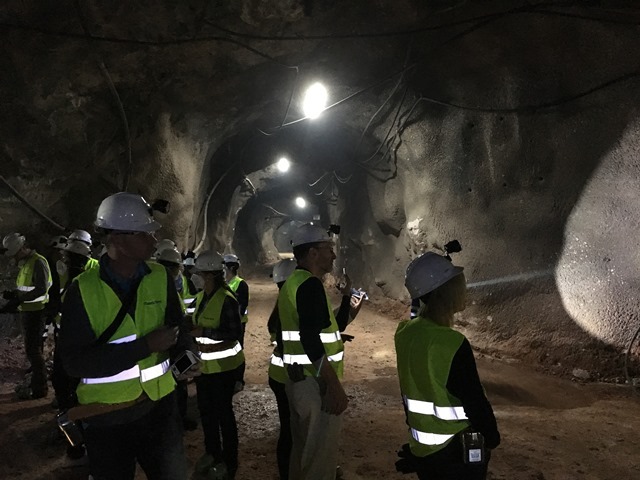 “South Africa is positioned to become the world’s premium fluorspar provider, and Doornhoek is a major cornerstone in the upcoming South African fluorspar mining industry” said Saad. A mining right application was submitted in 2016 and is expected to be issued early 2018. Trial mining will take place on receipt of mining right and a pilot plant is to produce material for market. Offtake agreements need to be secured as does funding for mine development. Further down the road is SepFluor’s Nokeng Mine, an overview of which was presented by Rob Wagner, Chief Executive Officer, SepFluor Ltd.
“SepFluor is now officially on the map” said Wagner. The project is on track to commission in late 2018 and deliver its first product to market shortly thereafter. A second mine is in development and targeted to commence construction in 2020. SepFluor’s strategy has been to aggressively enter the fluorspar business by accelerating the start of the Nokeng mine first. Nokeng hosts 12.2m tonnes reserves and the project envisages a 19-year life at 630,000 tpa run-of-mine, producing 180,000 tpa acidspar and 30,000 tpa metspar. The company has undertaken significant activities to de-risk, conclude project finance and commence construction of the mine. Key advantages are perceived in a low As, low Fe, low SiO2 and CaCO3 product; well positioned relative to markets in the Americas, India, Middle East and southern Europe; Nokeng’s concentrator designed to be flexible from an orebody and output specification point of view; strong offtake support with key partnerships established; and the Traxys partnership. 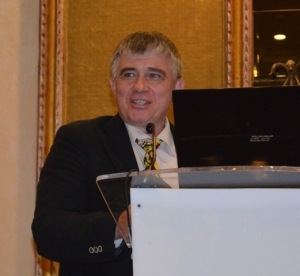 In “Downstream fluorochemical industry development activities and progress in South Africa”, Chris Potgieter, Director, BFluor Chemicals (Pty) Ltd, explained about “Going beyond the status quo” with the BFluor initiative in combining technologies between value chains. 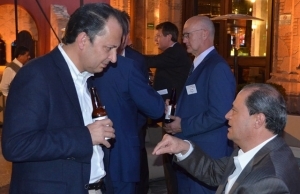 BFluor aims to do this with the “proprietary BFluor Black Box model in the South African context” which is to bring to fruition a 90-120,000 tpa HF business with matching acidspar offtake. 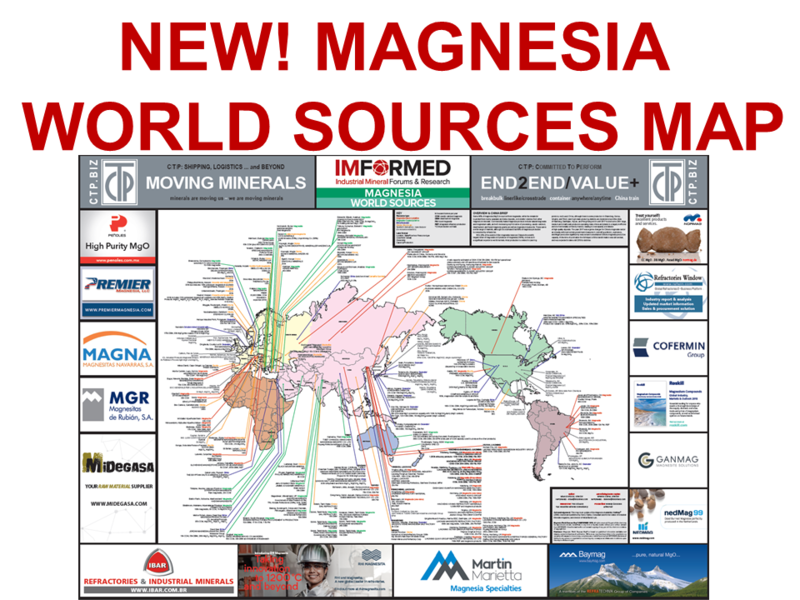 Potgieter claimed Africa as a “waking giant” and “Africa is more than a target market, more than a mineral resource base, it is a manufacturing base”. Potgieter sees fluorspar as a focal point, with hydrofluoric acid having a base load potential of 450,000 tpa based on current projects. 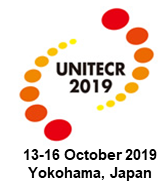 In particular, fluoropolymer processing for applications in automotive, aviation, cable, and coatings markets were highlighted. 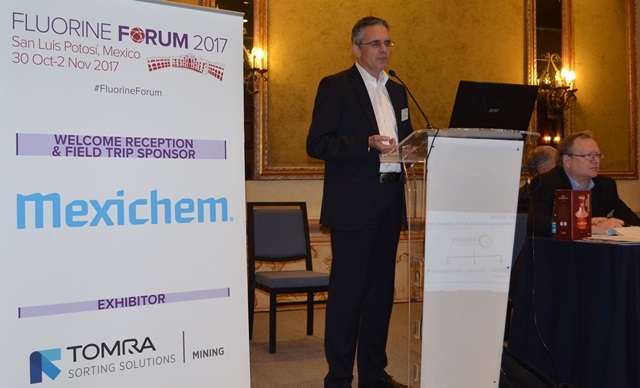 In what many delegate’s lauded as perhaps one of the finest fluorspar industry overviews ever presented, “The shaky supply-demand balance of acidspar: facts and fortune telling” by Oliver Rhode, Managing Director, XENOPS Chemicals GmbH & Co. KG certainly ticked the boxes. Rhode provided a detailed overview of the supply-demand balance, followed by recent developments affecting the supply-demand balance of acidspar, concluding with an update on acidspar from Thailand. He concluded that the trend of increasing acidspar consumption within China, combined with interruptions of mining from dynamite restrictions and anti-pollution controls would favour development of acidspar sources outside of China. The fluorochemicals market is likely to receive a boost from infrastructure development in emerging economies and demand for acidspar is expected to be high with 2.7% CAGR during the period from 2017 to 2025. The Asia Pacific region is likely to maintain its performance with an expected CAGR of 2.9% while demand in Europe and North America for acidspar may witness slow growth due to the sluggish growth of the aluminium industry in these regions. 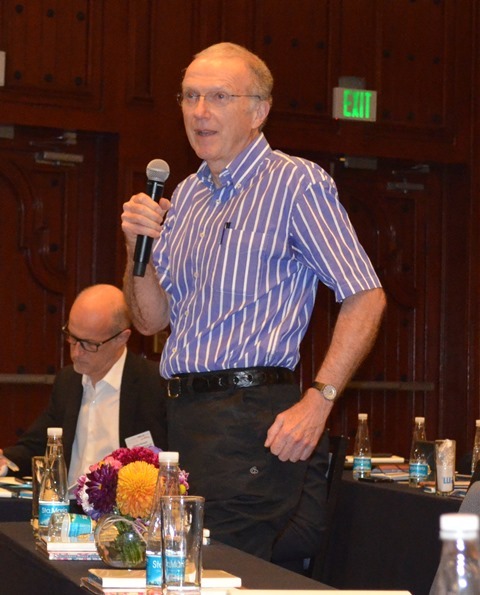 In echoing the famous mantra to all geologists – “The past is key to the present” – Gerry Clarke, Consultant attempted to make sense of the direction that the fluorspar market was heading by taking a look at its evolution in “Fluorspar to 2018 and beyond”. Clarke reviewed the “rollercoaster” of fluorspar production 1913-2017, and made correlations with the six global recessions, questioning whether another was imminent. Much depends on the fourth generation family of fluorochemicals (HFOs), the uptake by emerging technologies to offset any not-in-kind replacement, and the length and depth of the next recession. “Producers need to be light on their feet, avoid overstocks and sky-high capital borrowing, secure long term customer relationships, minimise distance to market for juniors, maximise long term mine life and, crucially, sustain and improve quality.” concluded Clarke. “Recent advances and trends in fluorine-based chemicals manufacturing” presented by Olivier Ruffiner, Business Manager Fluorine, Buss ChemTech AG showed how the company has responded to processing issues from the industry such as changes in plant operation owing to a change of fluorspar specification, and alternative feedstocks to produce AHF/AlF3. HF producers now face more problems with impurities and dust formation. Fluorspar and HF producers also face challenges ahead relating to fluorspar particle size. In the fluorspar supply chain there are a host of significant cost factors which impact fluorspar production and delivered cost. “Cost pressures in acid-grade fluorspar & downstream industries” saw Ashok Shinh, Ashok Shinh Consulting Ltd detail the key cost factors for acid-grade fluorspar, hydrofluoric acid, and aluminium fluoride. Shinh considered that production costs for fluorspar will increase substantially in the future, particularly so in China, while Mexico and South Africa should improve their cost competitiveness against China. Higher production costs and tighter supply/demand balance for acid-grade fluorspar should support a robust recovery in prices in the medium to long-term. Higher acid-grade fluorspar costs are expected to feed into and impact hydrofluoric acid and aluminium fluoride productions costs. Prices for both these products should also be more robust during the period to 2025 (around $1800/t FOB China for HF, and around $1600-1700/t FOB China for AlF3). 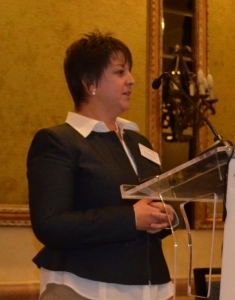 “Sulphuric acid a key factor in fluorochemical production: a global outlook” by Fiona Boyd, Director, Acuity Commodities focused on the main sources, specifications, pricing, production, trade, and market outlook for sulphuric acid. The most significant increases in sulphur-based production capacity are anticipated to be seen in Morocco (OCP) and Saudi Arabia (SABIC/Mosaic Ma’aden JV), as well as pending fertiliser projects in Africa, Asia and Latin America. However, a more marked impact on the traded acid market is more likely from smelter projects such as in Australia, with the Port Pirie new acid plant coming on stream Q4 2017. The price of copper and other base metals may boost consumption of acid, particularly in Chile. “A niche market with few major players, it is driven by the base metals industry, and to a lesser extent by the fertiliser industry. 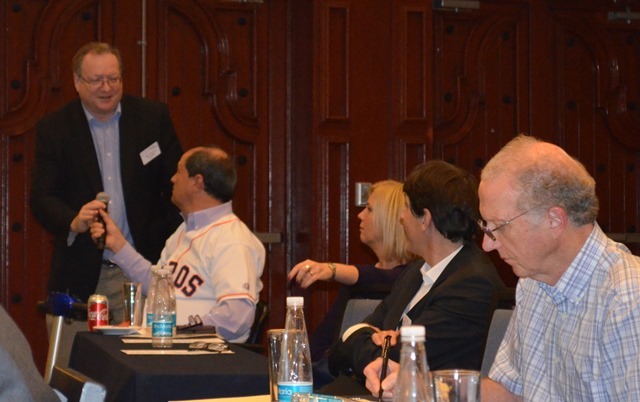 But in terms of price relationship many companies prefer to index their acid contracts off sulphur prices” said Boyd. Global trends to watch out for include freight, currency, the role of traders, government policy, the geopolitical situation, and the price parity between sulphur and acid. “Shipping fluorspar and the dry bulk market outlook” was presented by Aernaut Meijer, Director North America Dept., Spliethoff Transport BV, in which Spliethoff was profiled and its activities in shipping fluorspar. “We like shipping fluorspar: it is a clean product and easy to handle; fast loading and discharging terms; an ideal match in combination with other high stowing cargoes, such as paper products. Not sensitive, only caution is rain. In fact over the past 25 years we never received any cargo claims.” said Meijer. Challenging issues for shippers include sulphur and CO2 emissions, ballast water management/treatment systems, electronic documentation, and newbuilding programmes. The importance and benefits of advanced sorting technology in fluorspar processing was demonstrated in two excellent presentations, each accompanied by instructive video clips. “Upgrading fluorspar material using optical, near infrared and laser sensor-based sorting” by Harold Cline, North American Area Sales Manager, Tomra Sorting Solutions introduced delegates to the basics and benefits of sensor sorting. Harold Cline, North American Area Sales Manager, Tomra Sorting Solutions introduced delegates to the basics and benefits of sensor sorting. Cline further highlighted colour and near infra red sorting of fluorspar which are effective for removing CaCO3 and SiO2 from fluorspar, while laser sorting is effective for detecting and upgrading fluorspar. “Advancements in sensor based sorting for fluorspar” by Lütke von Ketelhodt, Business Development Manager-Mining Market, Steinert US, compared several sorting techniques for fluorspar. For high grade fluorspar ore, selective waste removal using XRT sensor sorting showed good results. While for low-grade fluorspar, feed material is complex, which requires a combination of sensors to achieve good upgrades. The combined XRT/laser sorting technique is a dry process, and no washing of the feed material is required. “Sensor sorting is an up-front beneficiation process which can produce a consistent feed grade for the down-stream flotation process, and provides opportunities to mine and process low-grade deposits which previously were uneconomical.” said Ketelhodt. 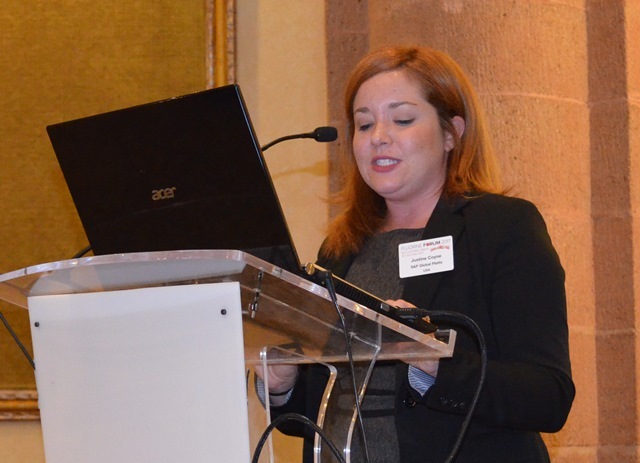 Switching to end markets for fluorine, Justine Coyne, Asst. Editor, Steel Markets, S&P Global Platts provided an all-you-need-to-know round-up of the steel industry in “Global steel supply and demand outlook”. Coyne covered global crude and stainless steel market supply and demand for 2017, followed by an outlook and what to watch for in 2018.
developing countries are benefitting from the global recovery and economic reforms, but to varying degrees. Issues to watch out for in 2018 include global overcapacity in steel production, a Section 232 investigation by the US Dept of Commerce (possible action on steel imports), tight graphite electrode supply for EAF, and downstream trade action on steel containing products (eg. large residential washing machines). 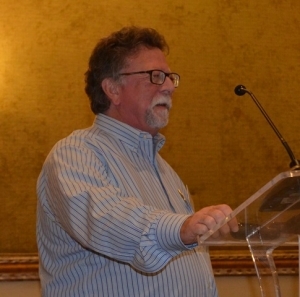 With his customary enthusiasm and gusto, Ray Will, Director Chemical Consulting, Specialty and Inorganic Chemicals, IHS Markit Ltd, presented “Adoption of non-fluorochemical refrigerants: a reset of expectations for the future?” – a topic which is to make a direct impact on the acidspar market. Will’s talk covered drivers of adoption of non-fluorochemical refrigerants in the USA, similarities or differences between the USA and Europe, how these trends will progress, the impact of policy on these trends, and impact of these trends on fluorspar consumption. So what does it all mean for fluorine refrigerants? The fluorinated refrigerant market will continue to grow in the US for the next five years. For Europe, Will expects growth for fluorinated refrigerants to be negligible: Europe will see further HFC plant closures, consolidation, and potentially fluorocarbon plant conversions to HFOs . In Japan slightly negative growth for fluorinated refrigerants while in China strong growth for fluorinated refrigerants including HFCs and the beginnings of strong growth for HFOs. David Fedor, Global Consumable Chemicals Manager & R&D, Lincoln Electric Co. spelt out how and why fluorspar was used in welding in “Fluorspar use and demand as a welding flux”. Fluorspar consumption in welding as a flux component in concentrations ranging 1-50%, is about 20% in FCAW (Flux Cored Arc Welding), 70% in SMAW (Shielded Metal Arc Welding), and 95% in SAW (Submerged Arc Welding). Specifications are very tight and call for 95-97% CaF2, 2.0% SiO2, and very low As (0.01%), S (0.03%), and P (0.02%), plus very low moisture (0.04-0.10%). Lincoln Electric, which accounts for about 20% of the global welding flux market, consumes about 12,000 tpa of fluorspar. 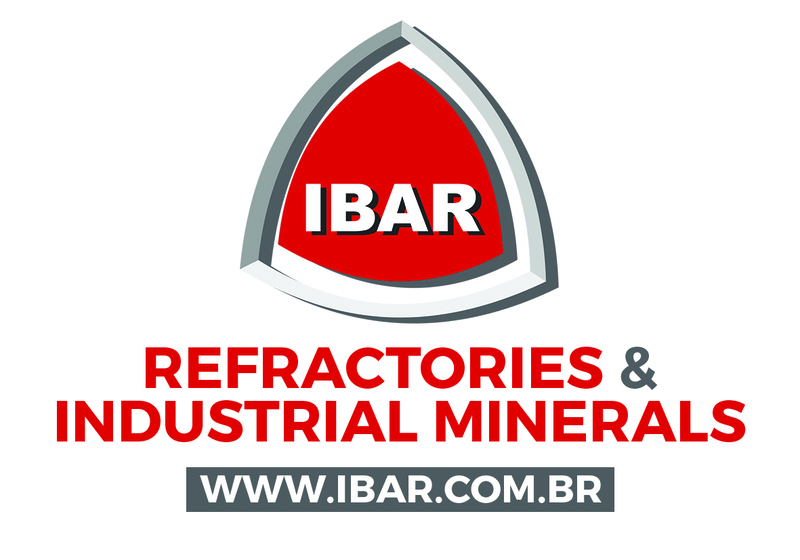 A growing application for metspar is in cement, and David Guerrero, Optimisation Manager, Cementos Fortaleza explained all in “Fluorspar application in the cement market”. In its efforts to reduce operational costs, increase production of clinker/cement, and reduce energy consumption, the company embarked on a successful fluoride solution implementation scheme with Mexichem’s support. 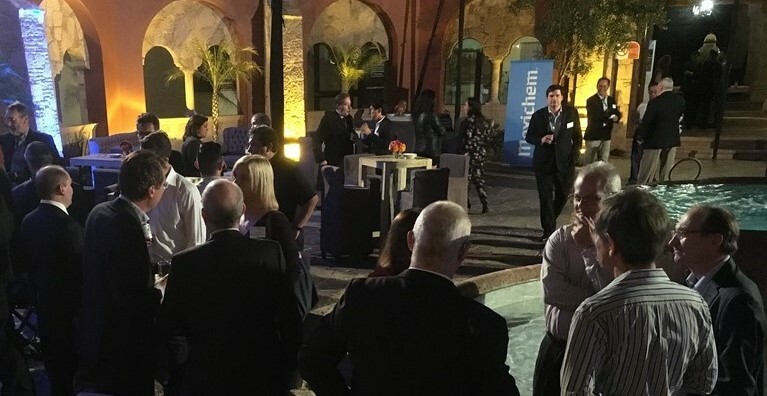 Mexichem implemented a US$200,000 fluorine dosage system for Cementos Fortaleza over six months which took 12 weeks to come up to commercial production scale. Benefits for the cement plant, using an optimum dosage of 0.2% CaF2, included fuel consumption savings, 5-15% potential increase of clinker capacity, reduction in the degree of sulphate decomposition, higher clinker reactivity and compression strength, and reduction of CO2/NOx atmospheric emissions . The modification generated net savings in production costs of US$4.84/tonne of cement, generating potential savings of US$9m per year (~US$5m/1m tonne cement). As ever we are indebted to the support and participation of all of our sponsors, exhibitors, speakers, and delegates for making Fluorine Forum 2017 such a success. 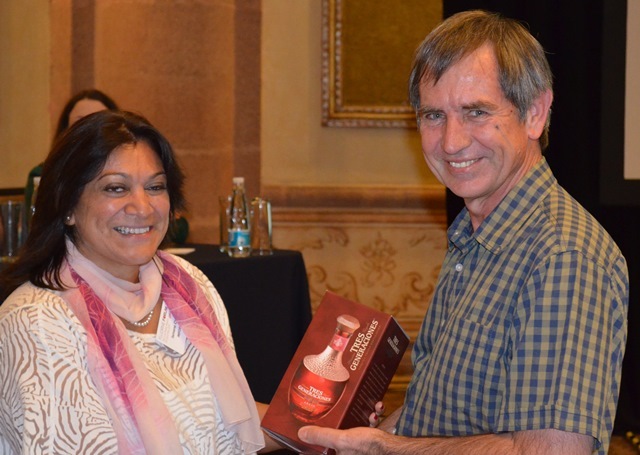 We shall keep you abreast with developments for Fluorine Forum 2018 and look forward to meeting you again soon. 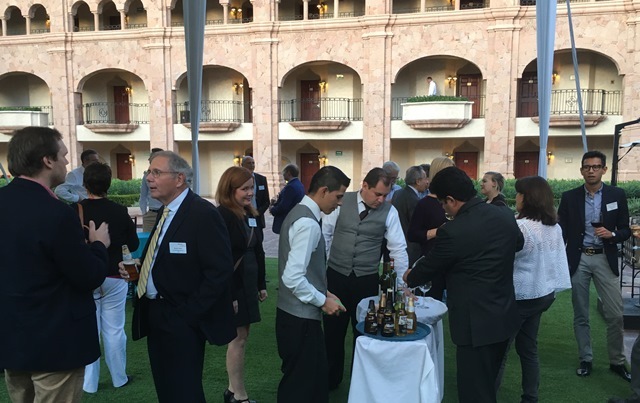 Missed attending Fluorine Forum 2017? I have been in almost all the conferences since 1989 and this has been the best of all. Thank you Ismene and Mike for keeping this very important meeting.